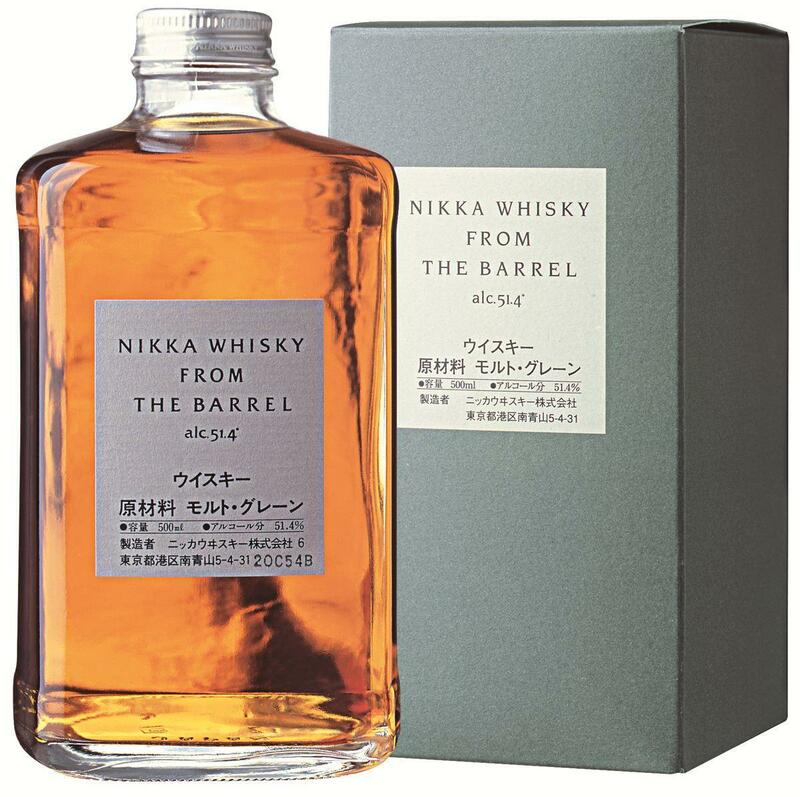 Nikka from the Barrel (51.4%): This is the famous blend of Nikka which scored numerous awards in different competitions worldwide in recent years. It is blended from grain and malt whiskies from Miyagikyo distillery and malt whiskies from Yoichi distillery, matured for an additional time period in first-fill bourbon casks after the marriage and bottled at cask strength. With its hard to believe price to value ratio and incredibly cute 50cl bottles this whisky has been very popular throughout Europe in last two years. Fortunately news are out that Nikka is about to hit also the US market soon so we won't need to wait for the next trip abroad to bring a bottle back. Color: Clear amber, clover honey. Nose: Chewy... Malty and fruity: Banana, Dole canned pineapple slices, orange peel. Strong oak aromas like nosing a young high-rye bourbon. Not done yet... Life magazines from fifties found in the attic and damp cardboard binders. Palate: Hot and spicy: white pepper, nutmeg, allspice, cloves and vanilla. Toffee candy. Everything is surrounded by oak notes carried from the nose. No need of adding any water unless you want to erase some of the spiciness. Finish: Long and bitter. One of the best finishes I experienced in a blend. Overall: I would never guess this whisky as a blend in a blind tasting. It is an impressively balanced whisky which carries all the best qualities taken from ex-bourbon and ex-sherry barrels equally. It also raises the price to value ratio to a very high level. With a price tag of €25 ($32) this bottle will be your every day whisky right away. Definitely deserves it's permanent spot in everybody's whisky cabinet. And yes - a MUST for every whisky cabinet! Thanks Josh..! It means a lot to hear from you..!